All Easton homes currently listed for sale in Easton as of 04/23/2019 are shown below. You can change the search criteria at any time by pressing the 'Change Search' button below. "5 separate parcels.16 feet water depth at boat house. Sandy beaches. Magnificent specimen trees. Broad views in every direction with sunsets and sunrises. 2 acre pond. Two guest houses. Pool. Pool house. Tennis court. Multiple barns and outbuildings. Very high elevation. By appointment only." "Ship's Point Private point overlooking the Tred Avon and Trippe Creek. 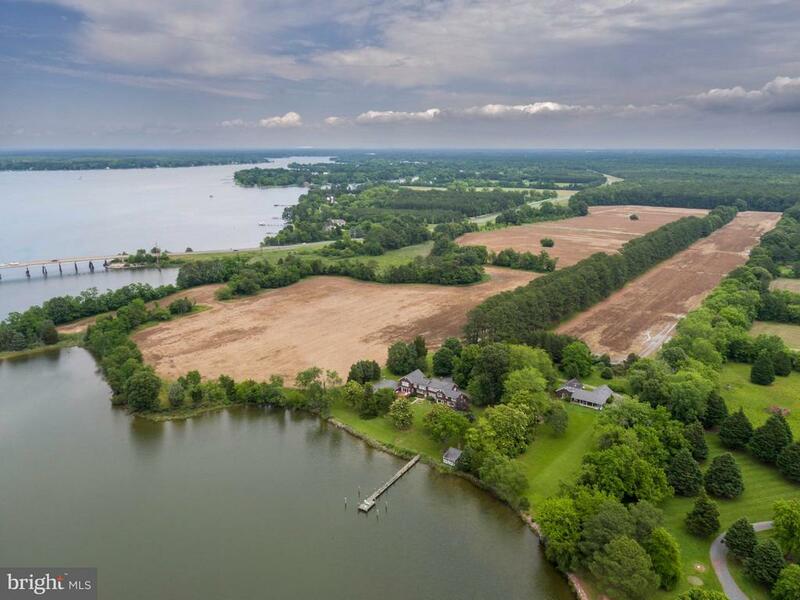 13+ acres, 2,300+/- ft of waterfrontage, bulkheaded shoreline, deep water dock with 4 slips, custom pool/spa, brick/stone patios. Main house features 3 fireplaces, 6 bedrooms, 6.5 baths, formal living & dining, sitting & family rooms, large kitchen, maids quarters. Also includes a detached garage and huge guest house!" 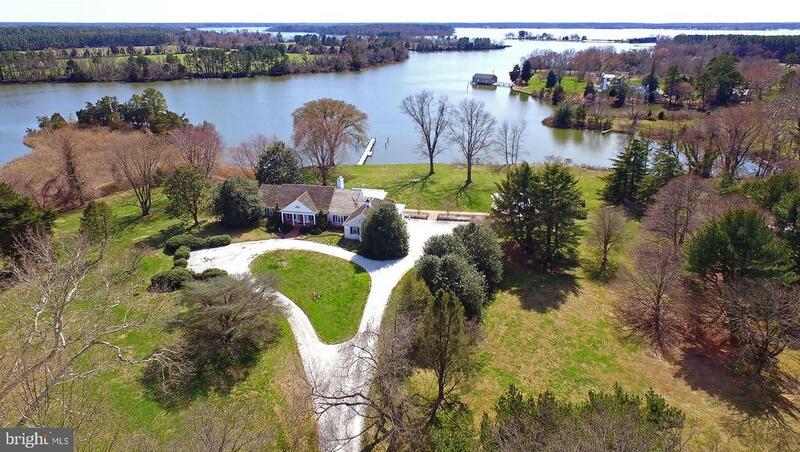 "Shipshead: Private compound consisting of stately main res.,1985 guest house incorporating Victorian elements, carriagehouse w/ apartment, garages, and outbldgs, 3 WF parcels totalling 13+ acres. Easton 3 miles,St. Michaels 6. High ground, parklike setting with specimen trees.Deep water pier. Waterfowl hunting. 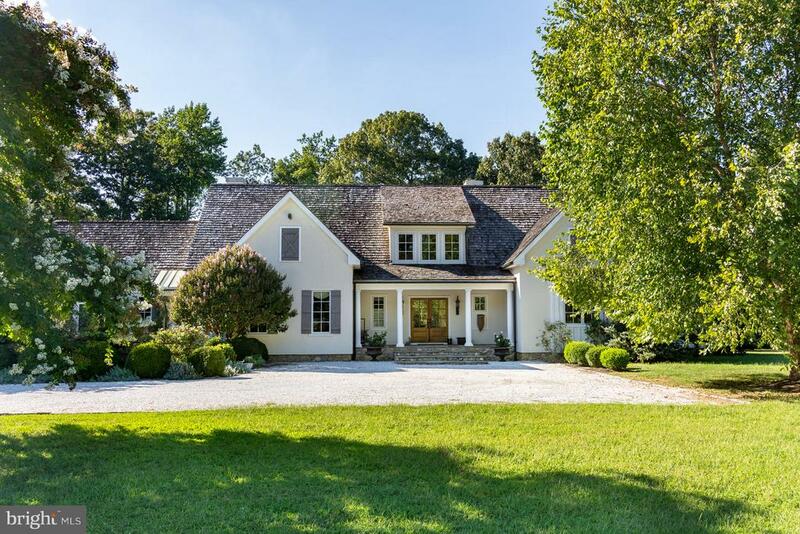 Main res.needs updating.Only 2 owners since built.Available without guest house"
"Quality abounds in this completely renovated 10,000 +/- square foot property set on 13+ acres along bucolic Trippe Creek. Meticulously designed and flawlessly executed, the stunning single level Smart home with a two-story attached guest house offers a total of 6 bedrooms, 8 full baths and 4 half baths. Revel in the beautifully proportioned and generous-sized rooms with 8' black walnut flooring and every major room opening onto a fabulous terrace with double fireplaces, outdoor kitchen, heated in-ground pool and broad water views. Enjoy water activities with a deep-water bulkheaded boat basin with 2 new lifts and 440' +/- of water frontage. This architect designer's home is truly a work of art." 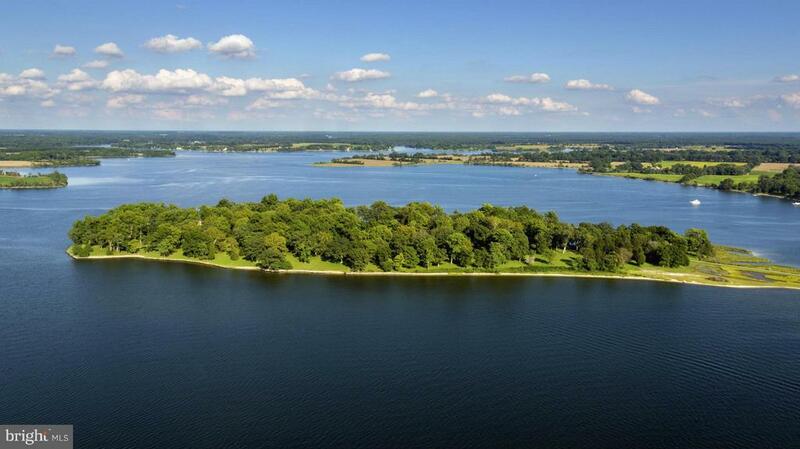 "THE REST Magnificent waterfront estate on the Miles River. 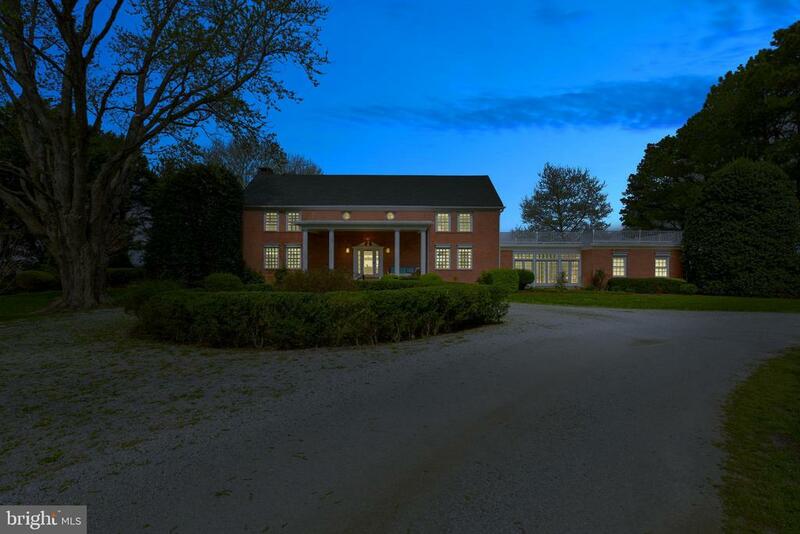 This architect-designed solid brick home offers 5 bedrooms, 5.5 Baths, Family Room with fireplace, den, huge dining room with fireplace, highest-end kitchen, all bedrooms en-suite, screened porch with fireplace. Hardwood flooring throughout, 5 fireplaces in total, custom millwork and moldings. Recent renovations include; new kitchen/appliances; bathrooms, windows and doors throughout, roof, pool, septic, geo-thermal HVAC, infinity pool, professional landscaping, exterior lighting, irrigation, hardscaping, etc. Property is improved with a 60' x 30' barn, historic smoke house, dock/boat shed, upgraded dock, 2 boat lifts. Northwestern Exposure with 3'-4'MLW. 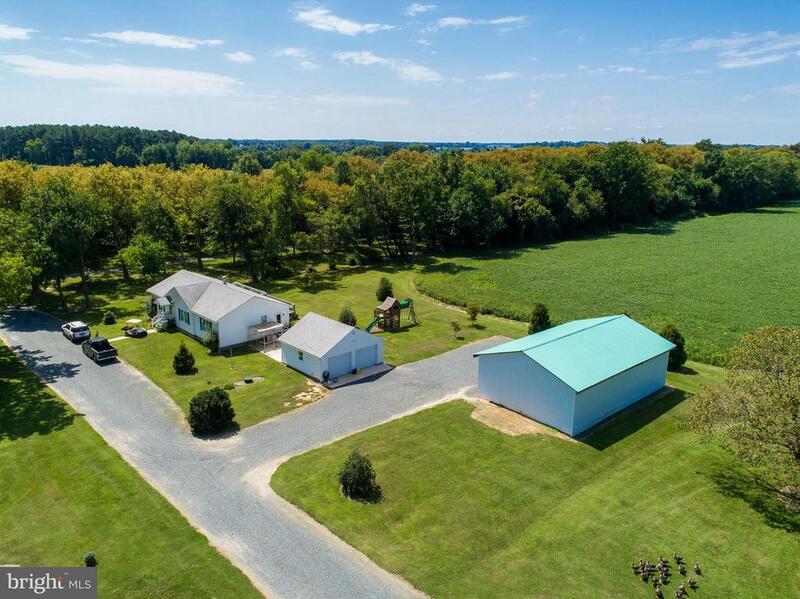 Incredible house and property for $2,995,000"
"Three bedroom, three bath Rancher on 165+ acre grain farm close to Easton and a Jet airport. Two car detached garage and an equipment shed. Perfect for Hunting!" 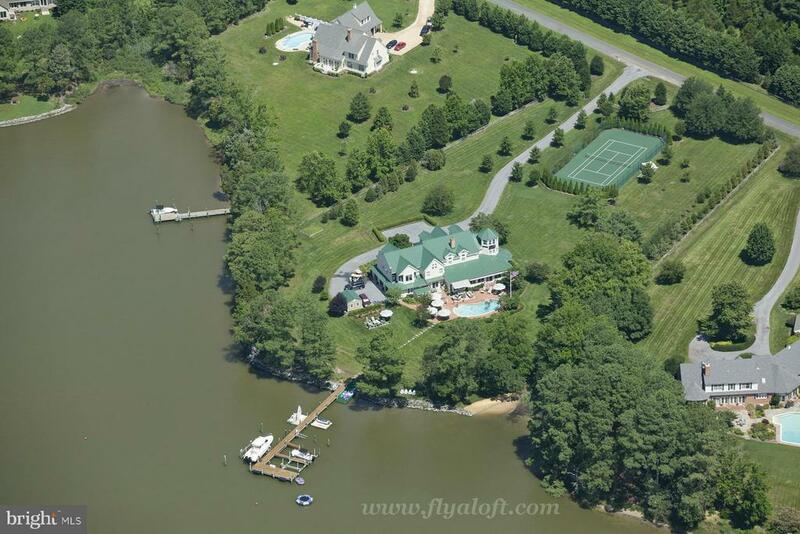 "Beautiful Daffin built 30+ acre wtfrnt estate on desirable Hunting Creek off Miles River. Prestigious location between Easton & St. Michaels. Stunning sunset views. Property ideal for hunting, farming, raising animals, horses or just for peaceful enjoyment. Private deep water pier w/ water & electric. Main house with 4 Brs, guest house w/3 Brs. Waterside pool & screened porch. Lovely landscaping." 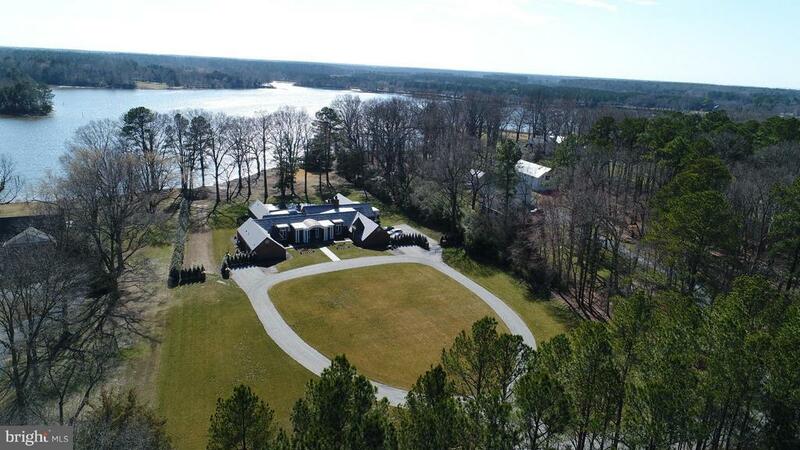 "Beautiful Daffin built 30+ acre waterfront estate on desirable Hunting Creek off the Miles River. Prestigious location between Easton and St. Michaels. Stunning sunset views. Property ideal fro hunting, farming, raising animals, horses or just for peaceful enjoyment. Private deep water pier with water and electric. Main house with 4 bedrooms, guest house with 3 bedrooms. Waterside pool & screened porch. Lovely landscaping." "Shipshead: First time offered in 50 years. 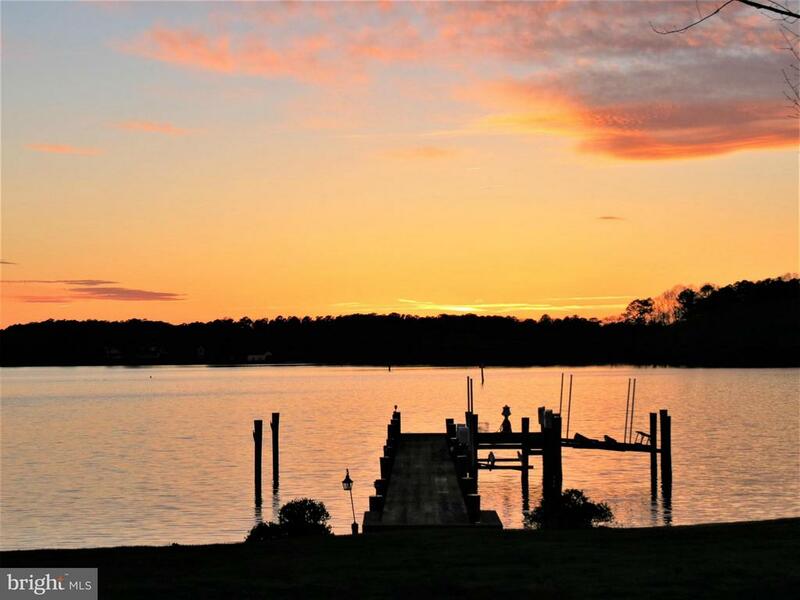 Handsome residence overlooking broad Miles River with panoramic views and sunsets over the water. Six garage spaces, caretaker's quarters, pool, pier with 6+ ft MLW. Rip-rapped shore. High ground. Parklike grounds with towering specimen trees. 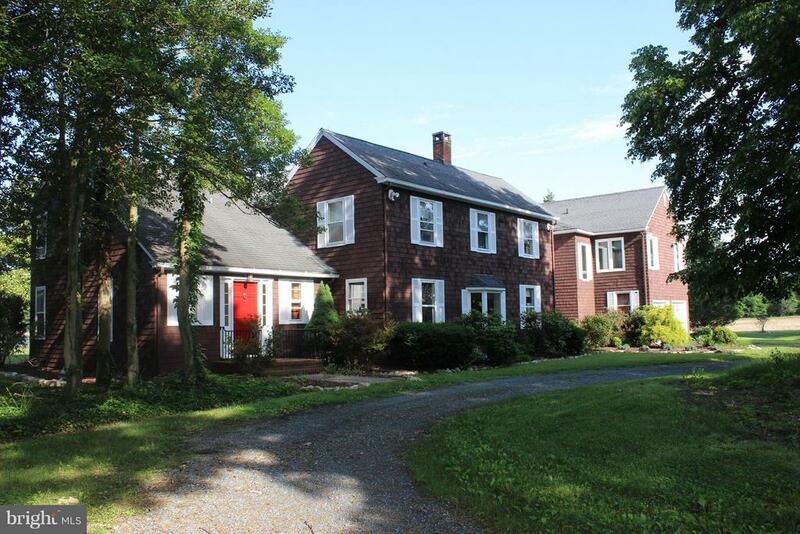 Private yet close to town (Easton 3 miles, St. Michaels 6). Residence needs some updating.Incl. 3 acre WF lot." "The Waterfront home you've always dreamed of. Incredible opportunity to own this picturesque property in Waverly. Telescoping Cape features two master suites, family room with vaulted ceilings, separate office, plenty of space for guests, 2 wood burning fireplaces, hardwood flooring, custom mill-working and built-in's throughout, 3 car garage, circular driveway, large in-ground pool, mature/professional landscaping, expansive views with southern exposure, 4.5'MLW on Playtor's Cove with protected dockage off the Tred Avon River." 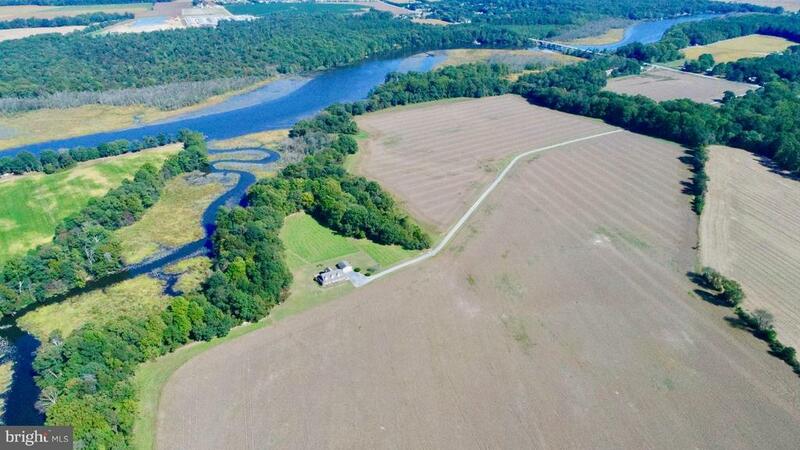 "Beautiful Secluded 175 Acre Waterfront Farm on the Tuckahoe River, 110 Tillable Acres. 4 Bed 2.5 Bath 2700sqft Home with detached garage. Great waterfowl & Deer hunting potential/ income producing with rented farmland. Over 700ft of roadway frontage and 5000+ of waterfront. Long driveway takes you back to your peaceful setting." "Beautiful Renovation on Waverly Island - western exposure to Tred Avon River - Magnificent Sunsets - deep water dock (6' mlw) with 3 slips, 2 lifts, water & electric - shoreline protected - Mature trees and landscaping - Master bedroom suite - three additional bedrooms with in-suite baths - two large decks - lowest maintenance - modern kitchen - Perfect Turnkey Home - full time-part time-any time!" "Nourse Farm Large waterfront estate on Oak Creek comprised of three parcels totaling 113_+ acres. Main parcel consists of spacious 7 bedroom, 6 bath home with multiple sitting and dining rooms (great for entertaining), and a large indoor pool with bath, kitchenette and laundry room. Dock with dock house (screened in porch and fireplace), and a Guest house. 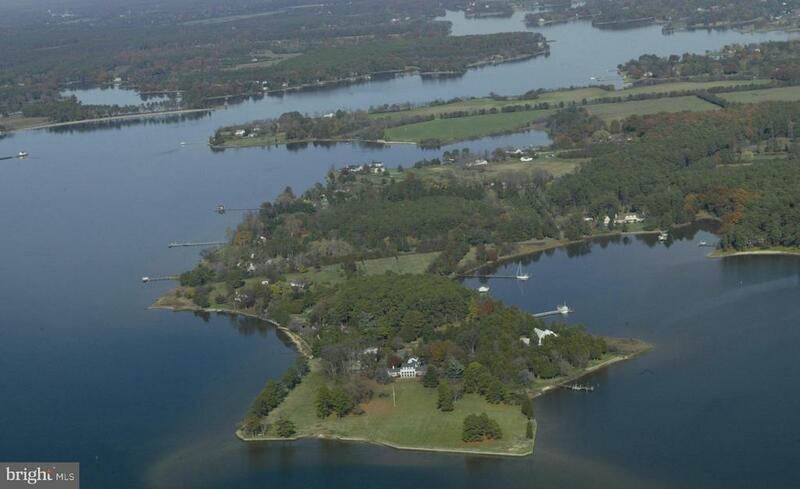 The other two parcels are perc approved waterfront lots that are 5 ac and 20 ac and have 100ft setbacks from the water." "Waterfront family compound on 5+ ac surrounded by fine estates off Baileys Neck Rd with deep water pier on Snug Harbor. Just under 6000 sf one level main house that includes luxurious master suite with huge water views & direct access screened porch, waterside salt water pool, patios & breezy deck. 2 bedroom guest cottage; Spectacular landscaping. Owner says bring all offers!" "Nourse Farm Large waterfront estate on Oak Creek comprised of three parcels totaling 113+ acres. Main parcel consists of spacious 7BR/6BA home with multiple sitting and dining rooms great for entertaining, a large indoor pool with bath, kitchenette, and laundry room, a dock, dock house, and guest house. The other two parcels are perc approved waterfront lots that are 5 and 20 acres." "Lovely brick property at the end of Aveley Farm Road, private and secure. 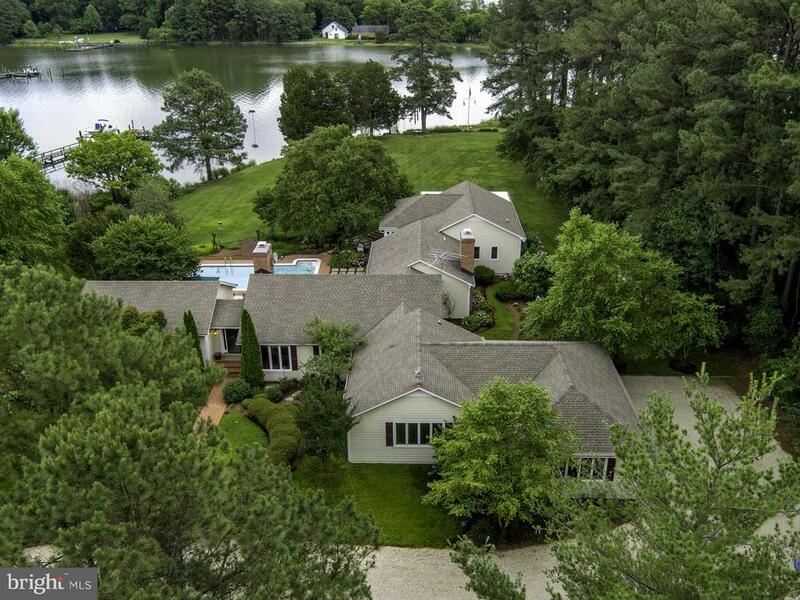 - 3 acres with 650 feet protected waterfrontage, large dock, gunite pool with decking and waterfall. Hot Tub - Master bedroom with private office, 3 up bedrooms with in-suite bath, kitchen, breakfast, dining, living, great room, sun porch. Studio above garage. Field adjacent allows 2800' build. Midway Easton/St Michaels." "This Gracious Georgian home in Historic Downtown Easton, captures timeless elegance and fairytale romance of a bygone era. Just blocks from The Avalon Theater, Academy of The Arts Museum and The Tidewater Inn this elegant home offers the historic charm of yesteryear with extraordinary modern updates. 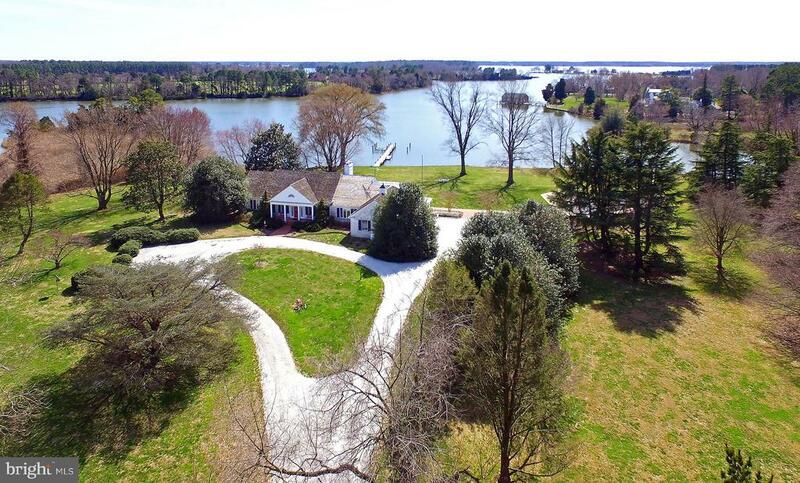 Situated on over half an acre with 5 dedicated bedrooms, 5.5 baths and over 6,600 square feet of living space this home is perfect for those looking to escape city life and enjoy the best of small-town Eastern Shore living. A recent makeover of the home now displays spectacular design and styling elements only the sophisticated eye can recognize. 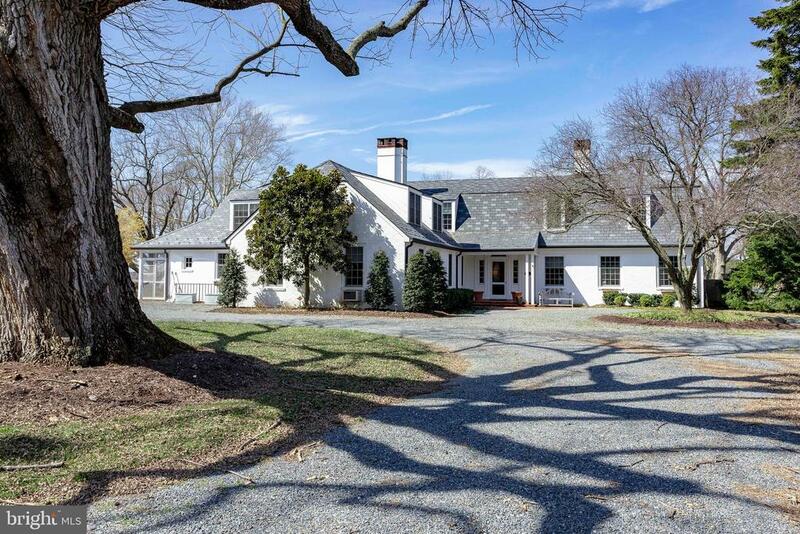 Built in 1920 this home offers 3 wood burning fireplaces, first and second floor master suites, gourmet chef~s kitchen and plethora of entertaining spaces throughout. Overlook the large private back yard from the massive balcony off the 2nd floor master or the screened in porch off the first-floor master. Please also tour the interactive floorplan and Matterport virtual walkthrough to gain a better grasp of all that this impressive home has to offer at https://mls.TruPlace.com/property/406/74730/ and https://my.matterport.com/show/?m=MVS21xkRkvM&brand=0 . Also available for purchase with all furnishings and d~cor for $2,185,000." 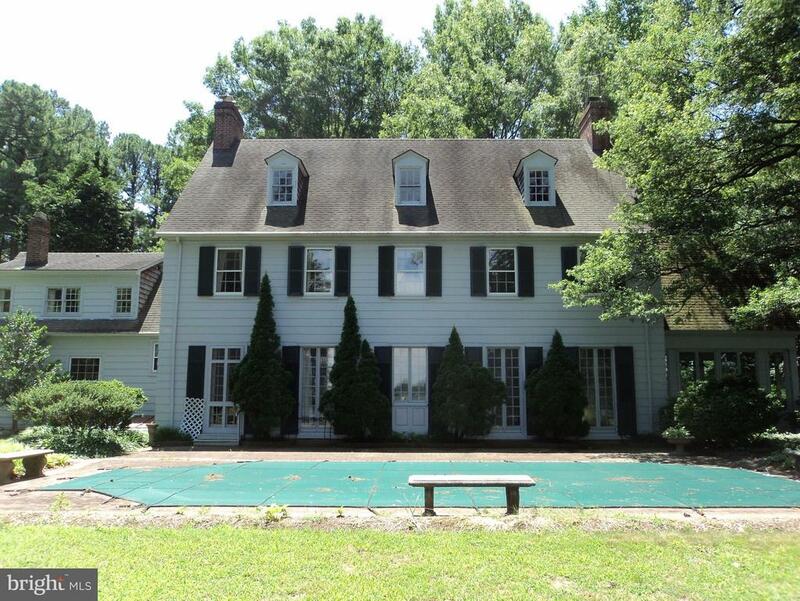 "Enjoy the waterfront countryside lifestyle just 5 minutes to downtown Easton. 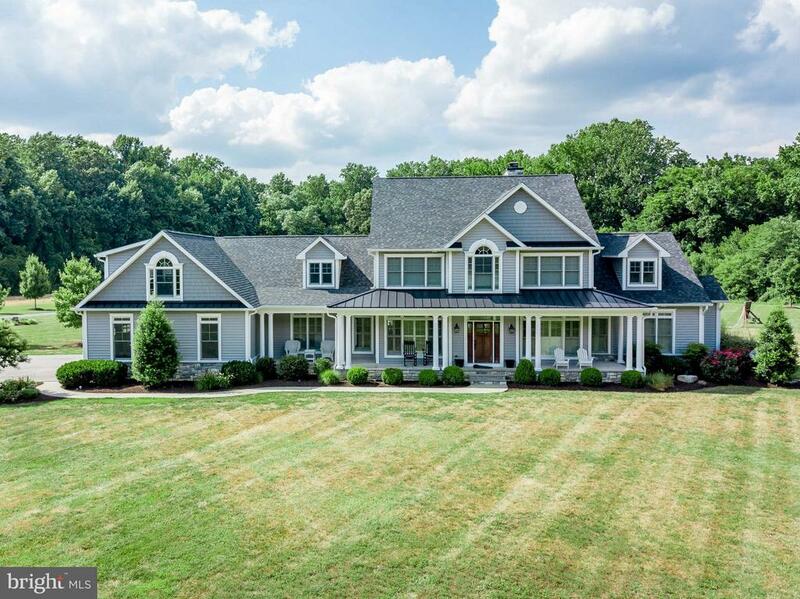 This elegant estate was built to resemble an English Cottage. You'll love the stone foundation, wide plank and tumbled stone floors, high ceilings, waterside screened porch and top of the line kitchen. This home has so much more to offer from the marble and soapstone sinks to the 4 custom fireplaces and quaint gated English gardens. Adjacent to the house is a stone 3 car garage with separate guest quarters on the second floor. Waterside slate patio overlooking Dixon Creek. Plenty of room for pool." "Incredible opportunity to own 57+ acres in highly desirable area. 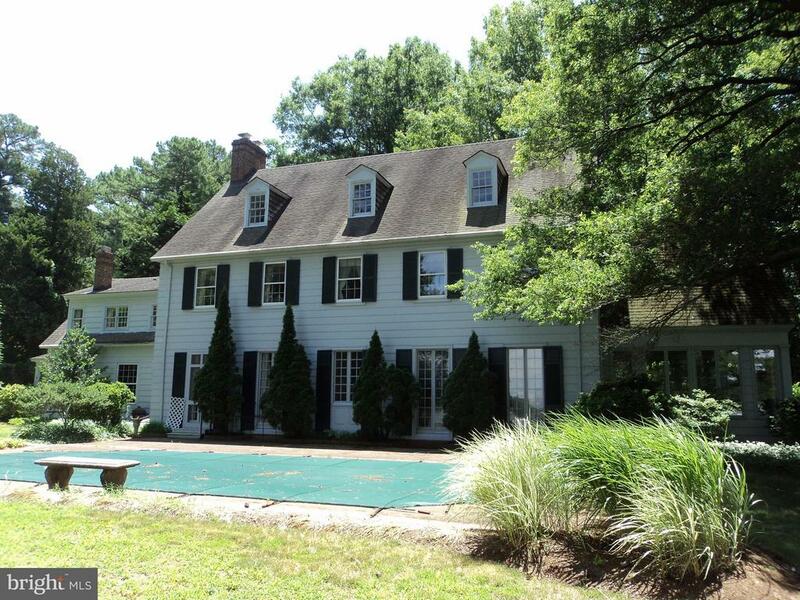 The colonial farmhouse (built in 2012) consisting of a 4500+/- sq ft house with 5 brs/4.5 bas, 1st flr mstr, lg kitchen w/island, commercial grade appliances, screened porch, extensive hardscaping, in-ground pool, geo-thermal heat . Improved with a 50~ x 70~ barn with finished game room. Fantastic hunting opportunities!" "Approximately 7,000 square foot home with 4 bedrooms, 9 baths, swimming pool, tennis court, and deep water dock with lifts. Private property with landscaping and gardens located on the Tred Avon River, just minutes by boat to Oxford and 6 miles by land to Easton. Co-listed with Hoppy Stafford of Stafford-Stafford Real Estate." "Trippe Creek waterfront home with the finest details and finishes, phenomenal floor plan, custom millwork, and soaring ceilings. 2-story great room with fireplace, water views and wall of windows, chef's kitchen open family rm, formal DR, 1st fl master ste and 3 BR with ensuite baths. Composite deck, hot tub, private pier, 2 slips & 4' +/- MLW. 3-car attached garage. Many upgrades!" 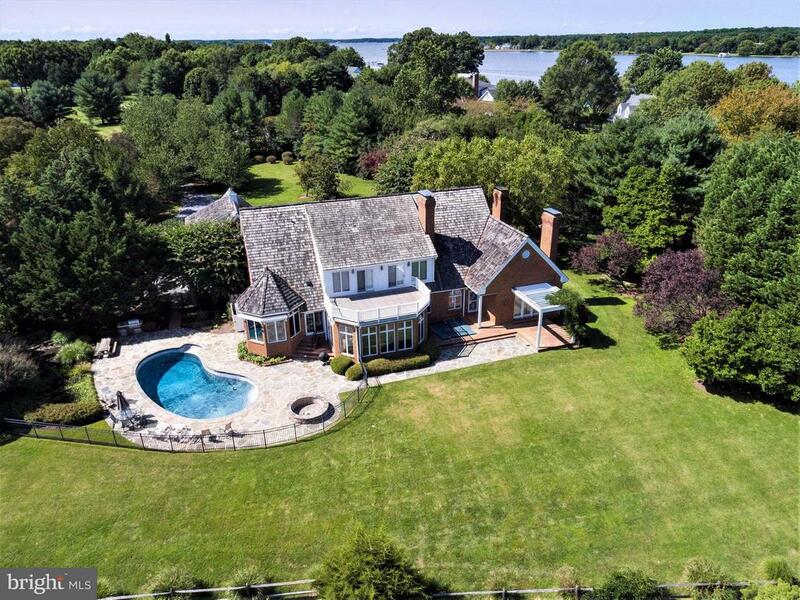 "Stunning sunsets and gorgeous panoramic views of the Miles River and Long Point Island. 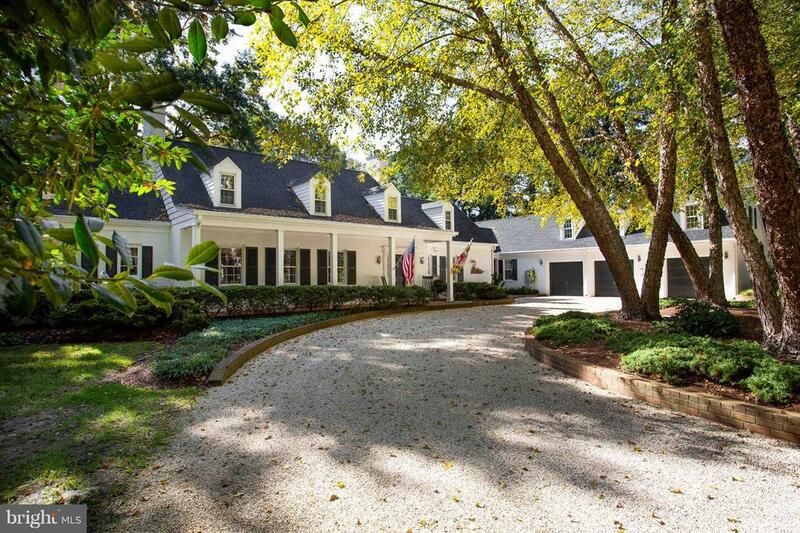 Private, idyllic setting in Arcadia Shores community located between Easton and St.Michaels. Private pier with 3 lifts and 2.5ft MLW, in-ground pool, exterior lighting, waterside patio and fabulous screened porch. Sycamore tree lined driveway, elevated park-like setting, rip-rapped, bulkheaded and living shoreline with sandy bottom. Large, well-designed and constructed 4 bedroom, low maintenance, brick home recently renovated and remodeled in 2012 and 2017. 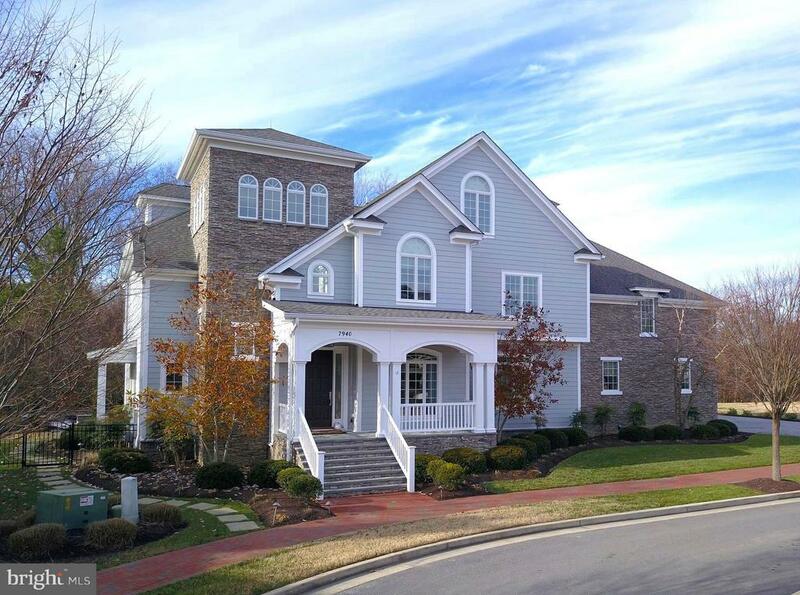 Enjoy the terrific open floor plan, grand living room with 2 story ceiling height and wrap-around gallery, gourmet kitchen, multiple dining areas, private Study and Office, great Sun Room with waterside patio and inside access to basement/wine cellar. Crown moldings and hardwood floors throughout. The perfect retreat to entertain or to enjoy a quiet day over looking the river and St.Michael's harbor in the distance." "A Village Masterpiece! Enjoy the Best of Modern Day Design, Craftsmanship and Technology at this Luxurious, Custom, Ron Mooney Built Home tucked away on a Double Lot in the most sought after Cul De Sac in Easton Village. Equipped with a Plethora of Upgrades that define ~Fine~ Living this Pristine Residence sits at the edge of the community off Maiden Point Court. Some of the Incredible Amenities and Upgrades include a full home Geothermal Heating and Cooling, Professionally Designed Kitchen with Plain and Fancy/Rutt Custom Cabinets, Cambria Counters, 36~ SubZero Refrigerator and Freezer, Wolf Gas Stovetop, Two separate Wolf Ovens, Fisher & Paykel/GE Dishwashers, Separate SubZero cooling, freezing, and ice-making drawers in kitchen islands, and SubZero 150 Bottle Wine Cooler, Fully Finished Basement with bedroom/office area, full bath, 7.1 Surround Sound Home Theater with 114~ Projector Screen, Full size wet bar and Gym, Lutron Lighting and Remote Sun Shades throughout, Full Security CCTV system with remote access and home intercom system SONOS Audio System throughout entire home, Rinnai Instant Hot Water System, 2 Gas Fireplaces inside and One on the Porch, Gourmet Outdoor Kitchen next to Fire Pit, Dog Condo, Smart Toto Toilets, Private Balcony off of Huge Master Suite with Fireplace, Wet Bar and 2 Custom Walk in Closets Plus a Full Brick Paver Driveway. Adjacent lot is also available for purchase and would be a great location for a private pool. Appraised in 2018 for $1,817,500. *See Virtual Tour for the Matterport Experience*"